Cru Bourgeois classification: good news! After the recent sighs of relief in St Emilion (see my posting from 17 November) there is also good news from the Médoc region. 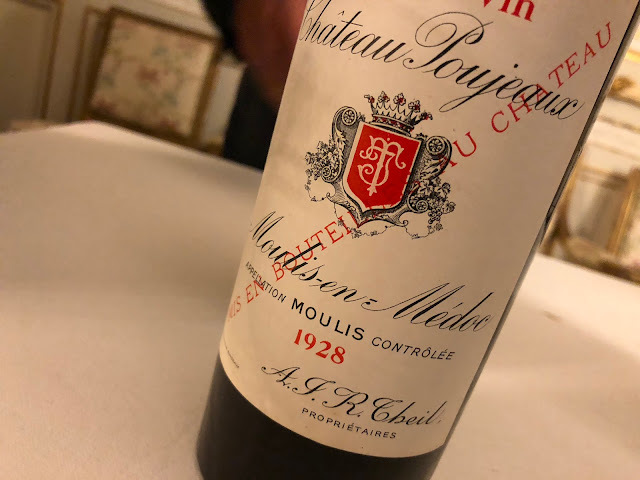 Not that the 2003 Cru Bourgeois classification will be restored (that is not going to happen), but an important step is made towards a renewed use of the term Cru Bourgeois. The Alliance des Crus Bourgeois du Médoc, beaten by the storm that blew away their new classification last February (it was annulled by the Bordeaux Administrative Appeals Court), is clearly scrambling to its feet, and presenting yet another milestone for their New Plan. Not being able to use the words Cru Bourgeois was very bad news for many winemakers in the Médoc, and for the Bordeaux wine trade in general. So after having nursed its wounds, the Alliance presented its resurrection. In short: Cru Bourgeois will stand for measurable quality, and anyone can apply for the new qualification. The idea was already presented in July, but in order to make it really happen - including the possibility to already use the term on the 2007-labels - various parties had to agree. 1. Cru Bourgeois is recognised as a designation of quality. 2. Qualification is based on two elements - production (determined by visits to the properties) and results (determined by a tasting of the wines). 3. Annual qualification is determined by an independent organization. 4. Qualification may be obtained by any property in the Médoc. I talked to Frédérique Dutheillet de Lamothe, director of the Alliance, and she sounded quite sure that the renewed Cru Bourgeois title can directly be used on the coming 2007 labels (bottling will be in 2008). But note: just the words "Cru Bourgeois": the categories "Supérieur" and "Exceptionnel" will not return, at least not in the near future. Which I think depicts the weak spot of the plan: if the specifications remain quite general, and in fact comparable to specifications for an appellation (OK, those are less strict), the Cru Bourgeois title might in the end become a more or less undistinguished label. For the short term however, today's plan seems to be the best way to move ahead, and I hope that for the top châteaux (like the old Exceptionnels, often better than many Cru Classés) something extra will be thought up. Which I think will happen. Finally, one question remains... since any Médoc property may obtain the Cru Bourgeois title, and it is purely an indication for quality, can a Cru Classés also apply for the qualification? 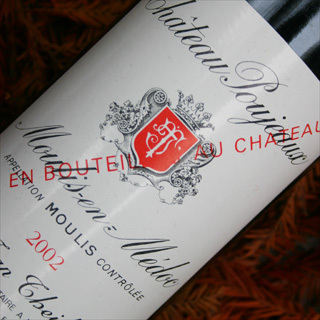 It would be a very special appearance: Château Latour, Cru Bourgeois du Médoc.